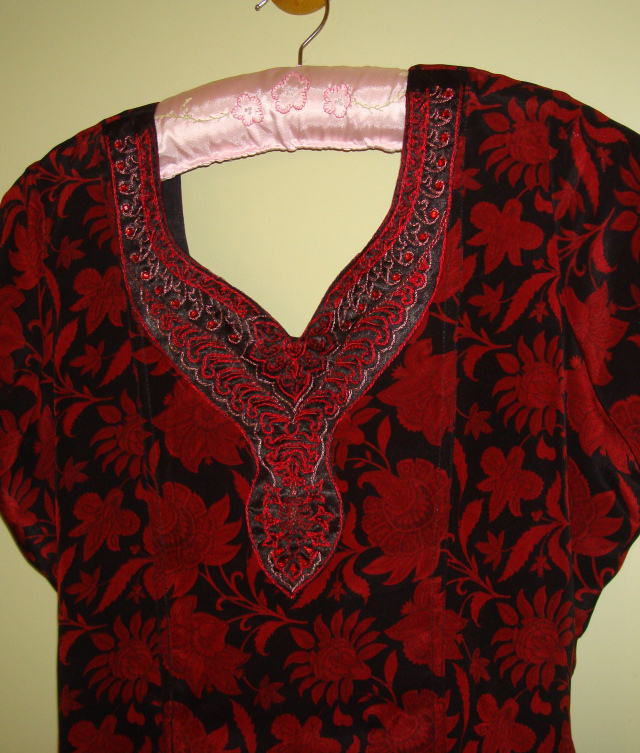 This tunic fabric had all the aspects I wanted- crepe material, black and red colours, traditional Indian pattern print all over. I couldn’t resist buying it. 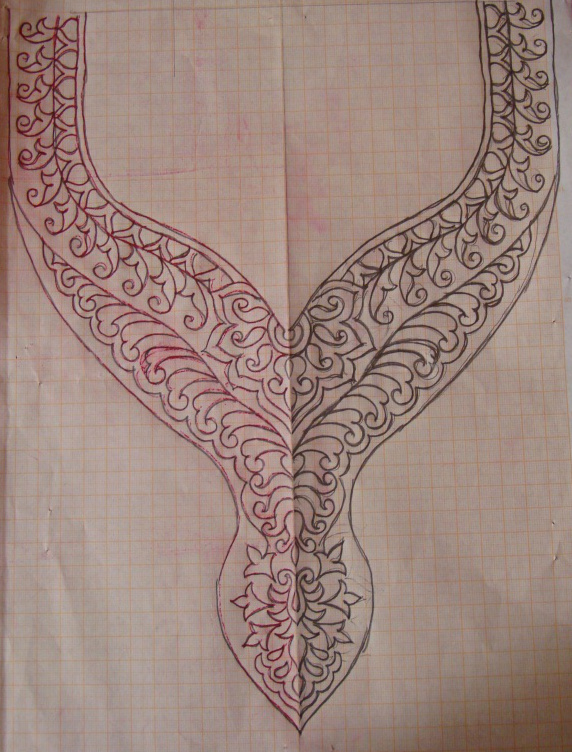 The neck pattern for embroidery was also drawn in the same theme, traditional Indian design. 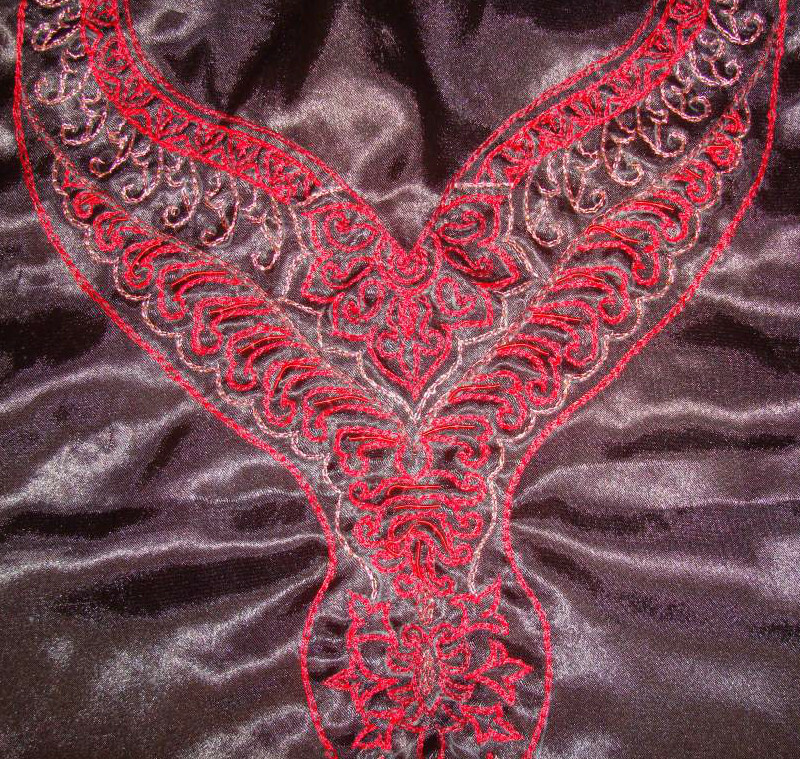 I chose black satin fabric for working this embroidery. It was hard taking a clear picture without the satin sheen. The embroidery was done with chain stitch, resembling aari work with zardosi beads and stones. It is easy to work Indian embroidery styles on traditional Indian designs. 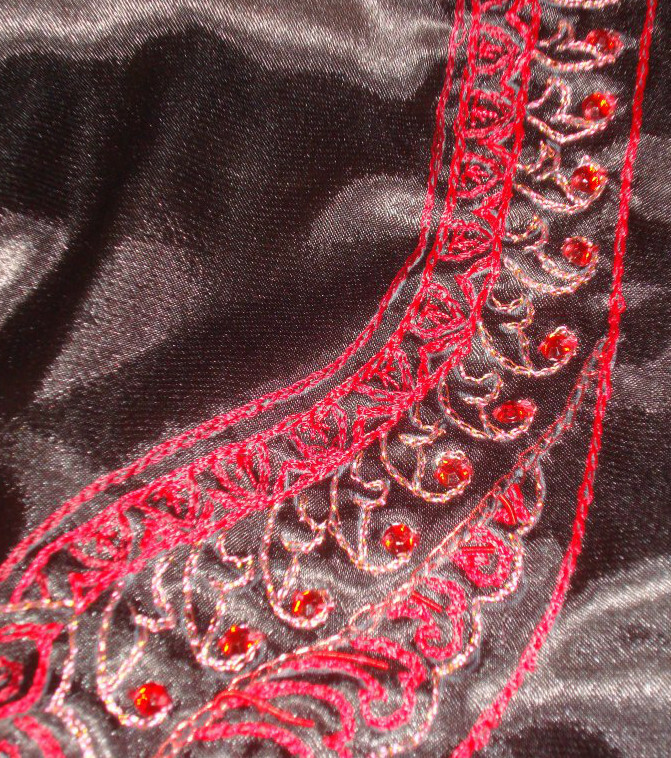 I wear this tunic with black silk salwar. But It is so hot now, I feel I am melting, at the thought of wearing this outfit!